Best unique present for unique baby! 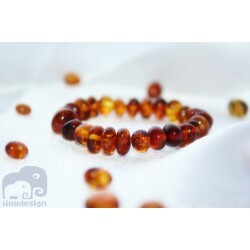 This pacifier holder is made of best 100% natural Baltic sea amber . Full length with clip is about 28cm. Every Pacifier Holder is unique, natural and handmade with love. Suitable for boys and girls I can do a special design for your baby - and it will be a great and original present for any occasion. 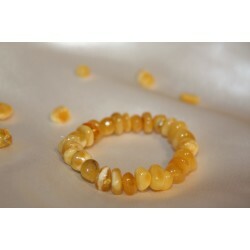 Baltic amber may even restore energy, strengthen the immune system and promote general wellness. The salt of succinct acid may play an active role in cellular respiration and intercellular creation of energy. 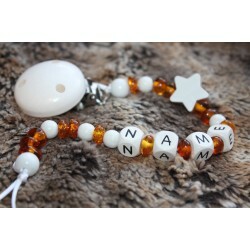 Great alternative to drugs For safety when Amber Dummy Chain is not worn please keep out of sight and reach of children Dummy Clip should be removed when child is sleeping, bathing or unattended! 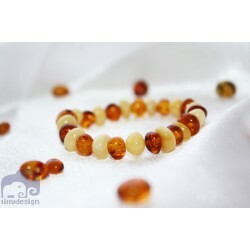 Amber is for wearing not chewing, please do not allow your child to chew the Dummy Clip. Great Care and attention is given to the making of each Dummy Clip. Customers should be aware that they are Handmade and all Safety Requirements still need to be adhered to. Baby/child Should Not be Left alone or Left Sleeping with the Clip - Nor should Clip be used as a Teething Ring, chewing the Clip Should be discouraged Due to Small Parts Used in the Making of these Clips which could be a Choking Hazard. All Clips should have regular Checks for Wear and Tear, and discarded should any be found that could cause danger to your Baby/Child.